Stein is a surprisingly accomplished photographer. The many shots of Debby Harry are swoon-worthy, but the images of Johnny Thunders, Richard Hell, The Avengers, Runaways, Ramones, Basquiat, and other punk & art world luminaries in their prime are just as indelible. Stein includes lots of text so that it reads as an informal history of 1970s downtown NYC scene and beyond. Excellent collection of photos focusing on the band Blondie and the new wave. punk, and art movement that centered around NYC (mostly in the 70's and 80's). Chris has a great eye for composition and let's face it - Debbie Harry is one of the most photogenic people ever to grace our planet. Plus, Chris was in the right places at the right times to interact and photograph the likes of Bowie, Iggy, Devo, The Ramones, Andy Warhol, and on and on. And buried in picture captions are anecdotes and stories that add even more depth to the pictures. If that music from that time is still on your playlist (as it is on mine), seek out a copy of this book to page through and take a time travel journey with. The bulk of the content here is Chris Stein's photographs of the NY scene from the '70s into the 2000s (much heavier on the late '70s-mid-'80s). Although I never visited NYC during that period, many of these groups were among those I listened to and read about -- and influenced the local bands that I did get to see, and the subcultures around at the time. Between the excellent photos here and the richly detailed captions, this book captures the period impressively. Unsurprisingly, many of the photos here feature Debbie Harry, but many others are seen as well. A really nice addition to the growing library on the scene. I love NYC in the 1970s. NYC in the 1970s was dirty and gritty and real. You could get knifed to death. Crime was everywhere. People were the most free to be who they wanted to be and as part of as many subcultures as they could stretch thin. Creative types wore many hats. Enter Chris Stein. Who knew that he was also a very talented photographer?The photos are punk focused, and you get raw shots like the bathroom of CBGB and San Fransico's notorious now defunct punk nightclub Mabuhay Gardens. Some of the shots are magazine shoots and there are other shots of people in the scene like Joey Ramone and Legs McNeil. Music buffs, Debbie Harry and Blondie buffs and fans of eras gone by def need to check this out. 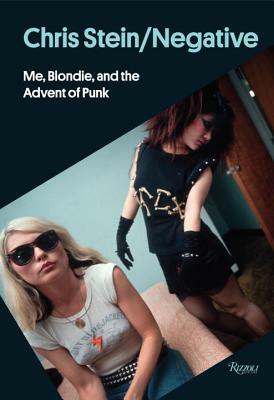 Enjoyed this collection of pictures and thoughts from the early punk-era of Blondie, would have liked to seen and read more of the post Blondie era and the Debbie solo phase and then reconvening of the band. Maybe a part two is in order. amazingly I got this book (from a very good friend) in Jan and never found the time to read it and then picked it up today and read it cover to cover, a very enjoyable read, thanks Chris! Absolutely loved this book. I picked up a copy at the Blondie exhibit at the Chelsea Hotel space. Stein's photos capture the essence of not only Debbie Harry but of the times in which she came onto the NYC Punk scene. I don't know if NYC will ever have that vibe again, but Chris Stein has managed to archive it for us in case we don't. Really intriguing look at the Punk scene, with AMAZING photos. It's always great to have an inside look at any given movement and the write ups coupled with the photos provide a fascinating window with which to view a music movement! Really cool look at the NYC punk/new wave scene from someone inside the scene. Great images and fascinating reminiscences. Uber cool. A time and a place we can't seem to escape, continuously pillaged for cool.